Blogs typically have their own section of comments on your pages. However, for some reason, it is common for some blogs to disable its commenting section due to some strategic reasons. It is always good practice to have an animated section commenting to start a conversation between users. After all what is the purpose of having a blog. This may be more, especially if it is a third-party commenting platform. They will provide a good measure of connection to other social sites like Twitter, Facebook, just to name a few. Possibly can attract more readers and build a community in itself. There are dozens of known third party commenting platforms that you can choose for your blog. Here are the five platforms that comment you might want to try to your website / blog. Everyone has their specialty and features. It features an intuitive interface and everything is in real time. That means you get every comment emailed so you can respond to them immediately or just follow them. You can attach the media along with the comments, because it integrates with sites like YouTube and Flickr. You can use services such as Facebook and Twitter, and use your login identity to share things. The fact is that the USP of Disqus closely connected to social networks and their ability to keep track of comments. There are tools sparingly and anti-spam technology built to keep it safe from spammers. You can exclude specific words within comments. You can have black lists or white lists as you like. Have plugin modules for Drupal, WordPress, and an excellent support for mobile devices. You can also integrate with Tumblr and Blogger. 2: IntenseDebate is another good platform for making comments that you can give your thoughts. It comes from automatic, the people behind WordPress. See what they offer. IntenseDebate's popularity is increasing day by day. It is possible to integrate the community with tools like Facebook Connect Open ID. You can reply to comments via e-mail, you will be notified by email, and have facilities nested comments. Provides full integration with social media profiles users. Akismet spam protection offers. It is anticipated Comment moderation, blacklists and while. You can assign tasks to the administrator with appropriate privileges. 3: The third most popular platform Livefyre comment. Here everything happens in real time. So, can respond to comments immediately and comments at the same time. Some of the biggest names that use Livefyre are The Sun, The New York Times, AOL, and Bloguin. Livefyre offers excellent connectivity with other social networks and their supportive comments others competitors, with the added advantage of tagging Facebook friends. This feature allows you to attract more people to a conversation. There is a live statistical comment and listen. All users can have their own profile with information about Livefyre email replies and links, comments are very SEO friendly, which means that the page rank of your site will improve. High quality tools for moderation and spam control. Excellent interface that is very intuitive and easy to use. Livefyre is free to use with standard features but customization, you will pay. 4: Echo is another feature rich third payment platform that you can consider for your website needs commenting. It is complete in the sense that you can include forums, polls, real-time participation and comments. Echo is best suited for business rather than personal blogs. A unique feature is its ability to synchronize with Facebook fan pages and Twitter conversation. The main users of Echo are The Washington Post, ESPN and others. 5: If you are inclined to use Facebook more than others, then Facebook comments box will serve its purpose in many ways. Feature in that it is a bit less than its competitors. The features are commendable relevance friends with comments are presented in the top, moderation tools, grammar and more. What I do not like is the plot structure of the tool. So, these were some of the platforms that can integrate comments from your blog or website. All specified platforms are reliable and safe, offering as security against spammers and abusers. You can definitely use all of them. Therefore, integrating any of these according to your preferences and niche and demonstrate the vitality of your blog. Blog comment is surely plays an integral part in blogs. 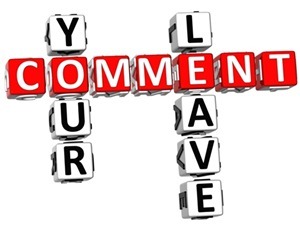 Commenting do help in increasing your interaction with your visitors. Apart from this, it also help in bridging the connection between blog owner and visitors. Well I think using facebook or twitter account is the best way to comment on your blog. Apart from this, using name, via email and site url can also be the best way indeed. Thanks for the share! !